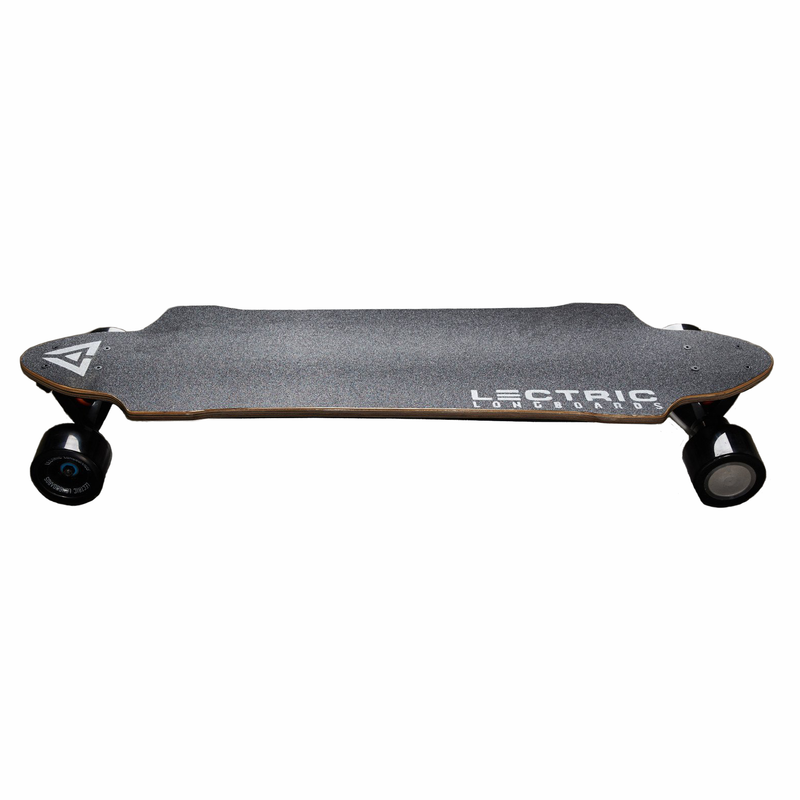 The Lectric Campus Cruiser electric longboard is the ultimate student and commuter board. It is ultra sleek, surprisingly powerful, and affordable so all can enjoy!. The single in-wheel hub motors can reach a maximum speed of 21mph and the battery can take you as far as 12 miles on a single charge. The Campus Cruiser will easily climb hills with an incline grade up to 15%. When you purchase, you have the option to get the LS electric longboard with black or blue wheels. This is a pretty decent board for its price tag. Perfect for commuting around the school campus or cruising on the weekend.